Kids are preparing for the new year more responsibleany adult. All because they believe in magic and are waiting for the main culprit of the celebration - Santa Claus! He must bring gifts and for good behavior to thank the child. But, not every kid knows that a gift can be made by him. It can be addressed both to Grandfather Frost and to family, close people of the child. The formation of a New Year's gift is not easy. For starters, you need to come up with an idea with which we will work. 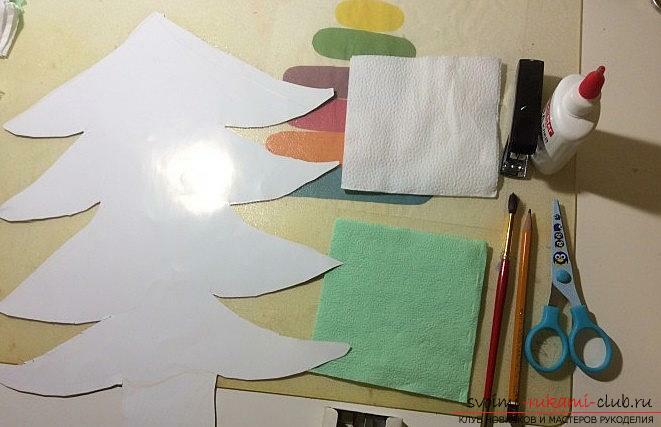 Let's try to make a shape of a Christmas tree, which is supplemented with napkin materials, with which help to decorate our gift will not be difficult. Of course, the baby follows from childhoodprepare to ensure that he also presented gifts to his friends, close relatives and simply native people. 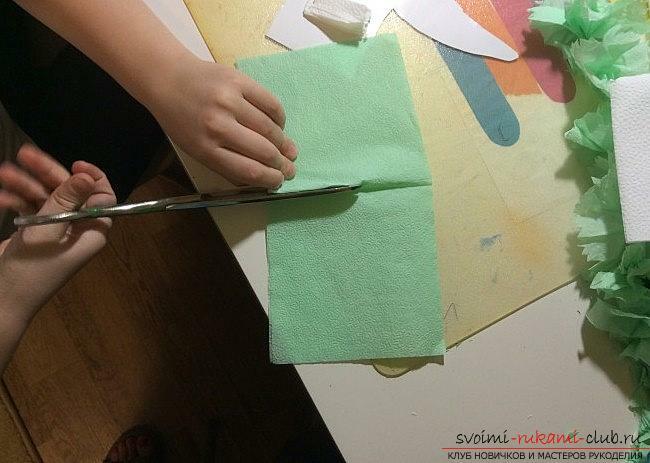 Crafts are best able to cope with the task, in addition, they teach the child new skills of needlework, thanks to which any kid can learn and use modern methods in order to improve their crafts in the future. 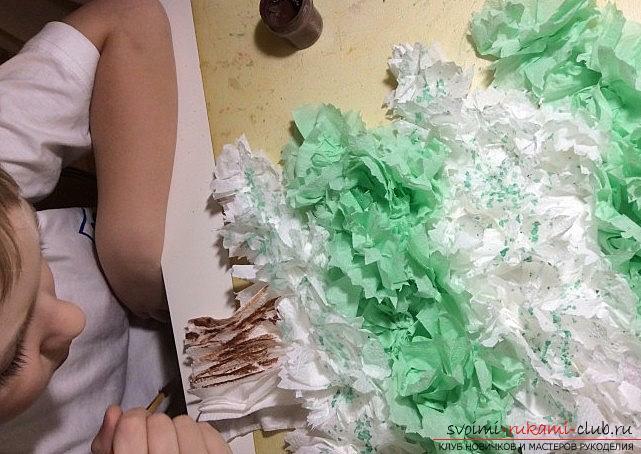 We offer you a simple lesson of a Christmas craft in the form of a Christmas tree. We will perform it in the form of a simple, ordinary application made by ourselves. 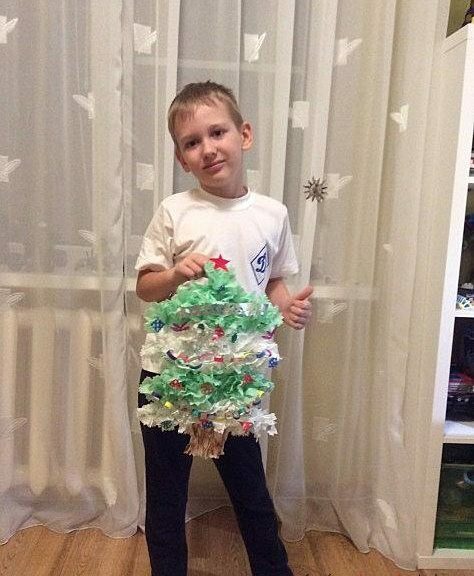 Special methods of work will allow us to make our own Christmas tree, which you can give to your friend, or decorate the house, add to it a new atmosphere and feelings of celebration. 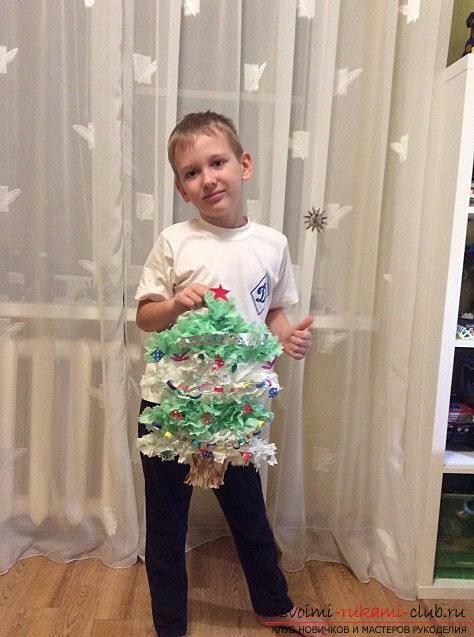 Materials for hand-made Christmas tree The implementation of such a gift will require certainmaterials with which the young craftsman is to work. 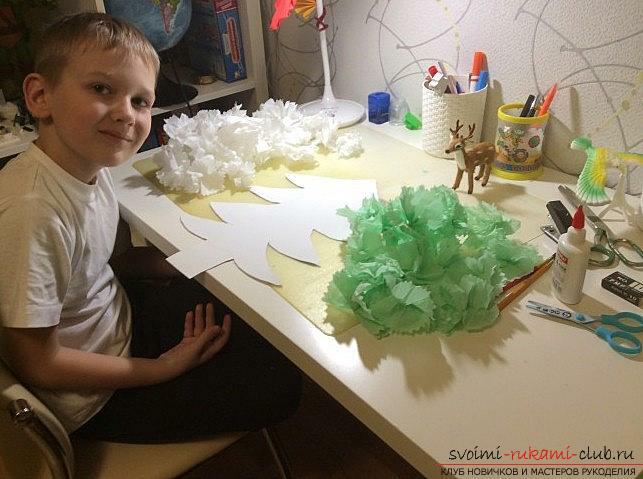 In particular, we are talking about the presence of a cardboard base, from which we will cut out our future workpiece and napkins - the main decoration of the craft, with which we decorate the future tree. Clearly, the napkins should be green. So, what list of materials will we need to create a beautiful work? 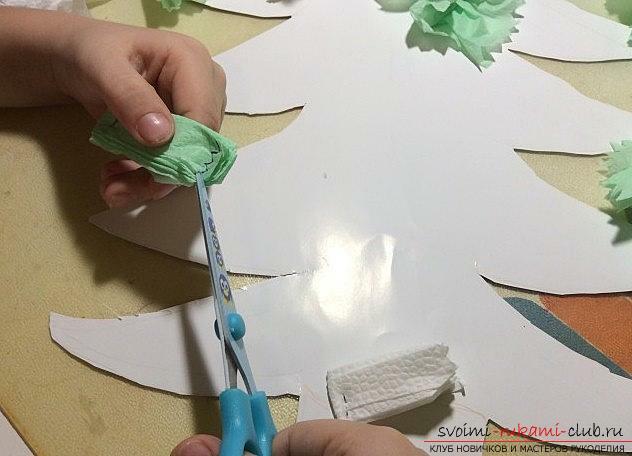 How to make kanzash flowers from ribbons with your own hands with photo and description.